Little beach is situated between Halifax and Fly Point, with parking for the dive on the corner of Victoria Parade and Dixon Drive. 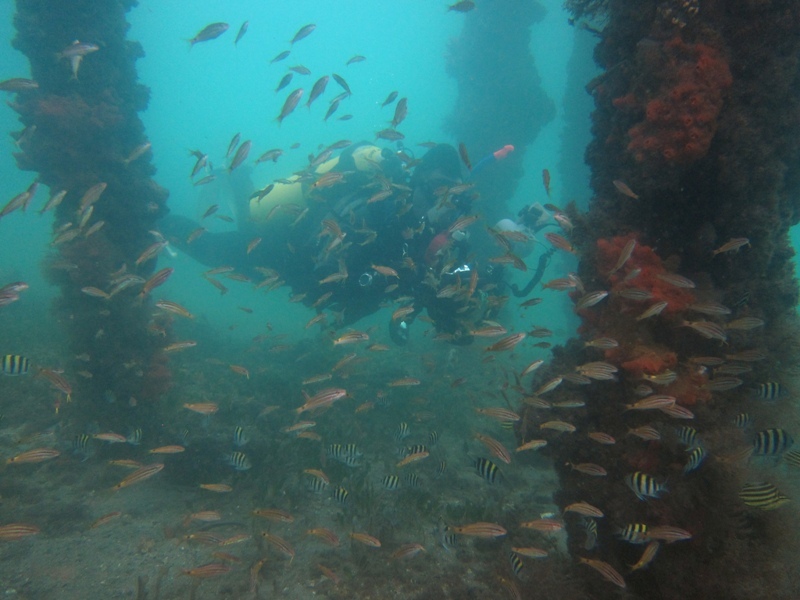 This is a much underrated divesite which you can often have to yourself on a weekend! The biggest problem with the site is the contrary currents you will encounter here. The bay is subject to a current eddy so when the tide is coming in the eddy is going out and vica-versa. From my experience the eddy lags the main current flow by about 1hr and therefore the site is best dived about 1hr after high tide. 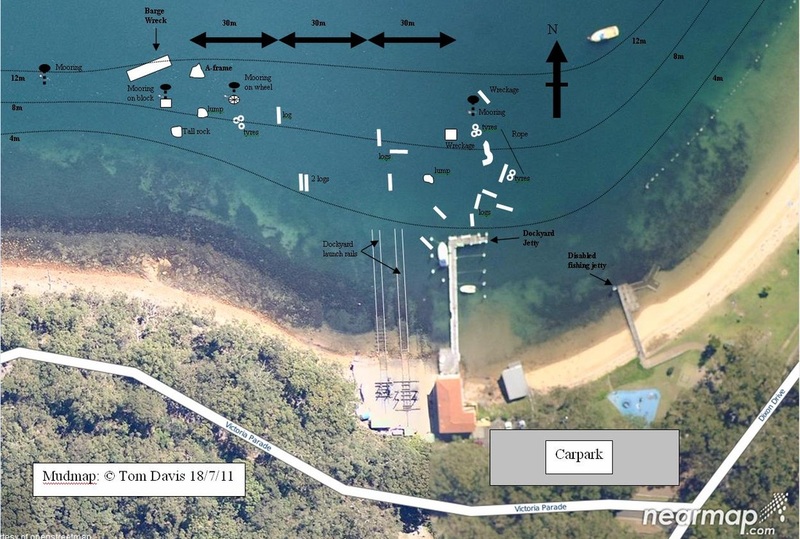 The usual dive is to enter on the small beach between the disabled fishing jetty and the scout hut. Swim out slightly and descend so that you swim out under the “L” shaped jetty. Under the jetty the water is only 3-4m deep, but you will find masses of fish and a great wide-angle photo opportunities, if the conditions are right. Swim down the slope from the jetty in a Northerly direction and you will find a number of old wooden piles which are the remains of a Naval Patrol Boat jetty from the Second World War. These wooden relics host a variety of fish including many tropical species over the summer months. At a depth of around 10m turn left and follow the depth contour to the West. You will pass between an area of yellow gorgonian fans on the shallow side and an area of soft corals on the deeper side (although the soft corals are currently buried by sand). The gorgonians host a variety of cowries and the soft corals host seahorses and pipefish. After another 50m there is a large railway wheel fixed to a mooring. 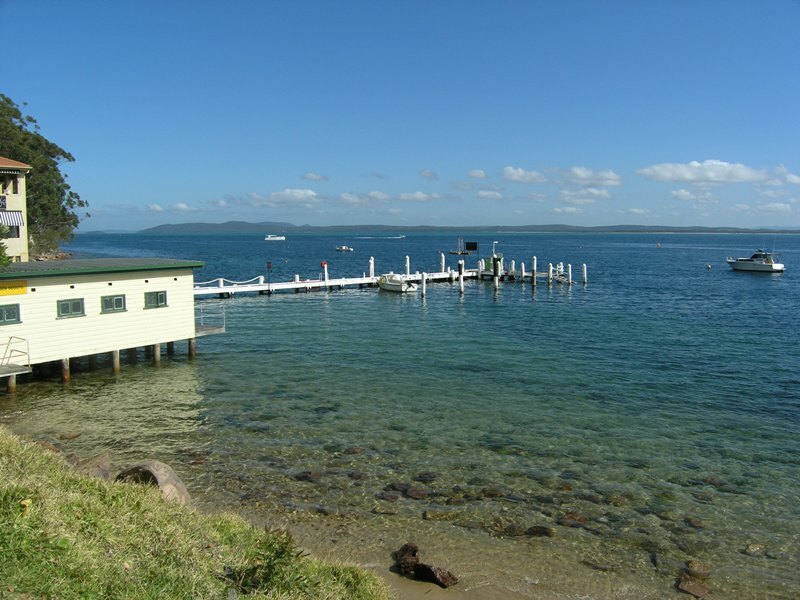 This is followed by a pyramid shaped structure (A-frame)which has its own school of fish and often shelters a wobbegong shark. Just past this is the unside down wreck of a barge. The wreck is the highlight of the dive. Under the stern of the wreck there is always a school of Pineapplefish. Over the wreck hangs schools of Wrasses, Mado, Bream, and Pomfreds. Red Scorpianfish and Red Morwongs are everywhere along with Sawtail Surgeonfish. The current is usually at its strongest at the wreck, as its sweeps round the corner towards Fly Point.